There was a time when the only use of rugs was to keep hardwood floor warm, and the house look cozy. But, today they are on tables, hung up on the walls like pseudo-tapestries and slung over chairs to induce effortless and cool vibe. 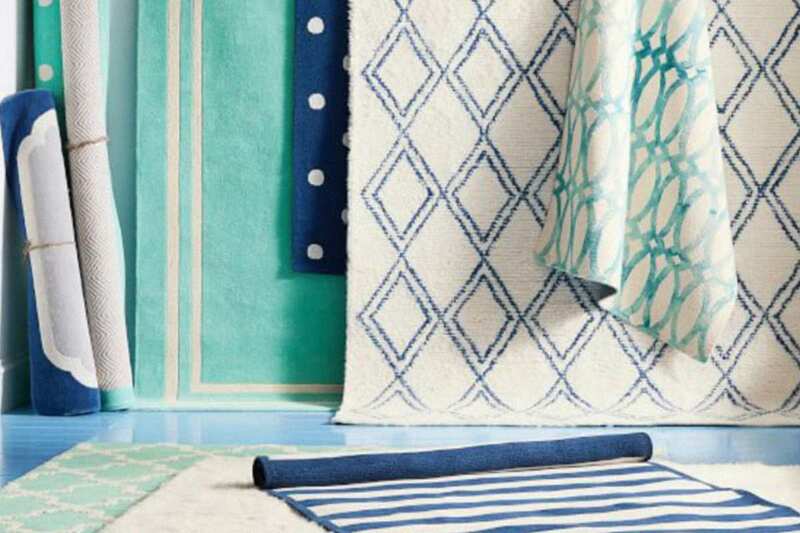 Rugs, now have the power to take over things and to make a statement, they have now become bonafide of design. In fact, they are now the cult-favorite piece of designers to deck out rooms and other vacant places. Apart from adorning space with the accessories and furniture, think of having a rug to align the overall design. The rug has the power to gravitate to other elements of the room. Besides, they can create a homey and sophisticated look that every homeowner wants in their home. You can use them to create a healthy open-plan layout without making the room look cluttered and messy. Adding a runner to the kitchen floor will not look good. However, you can instantly transform it as your dining table runner. Drape the rug over the table like a tablecloth and enhance the beauty of the dining area. Further, the dining area is a messy space and have most food spills. However, a gorgeous and well-anchored rug will add grandeur and class to the dining. Besides, rugs underneath the table is a natural space definer; if you have a plane kitchen, add a colorful rug to space and get a neat look that perfectly encapsulates the perimeter of the table. Since rugs come in different shapes, sizes and materials, pick the one that can turn your plane walls into art. Pick antique, heirloom or Moroccan rugs as their natural characteristics and colorful hues will bring interest to the walls. If you are choosing a light rug, hand it with the Velcro. However, for larger and heavier pieces use curtain rods. Want some more? Frame them in a nice shadow box and mount them on the wall. Living in a small apartment, but want your space look bigger? Pick the right color rug and transform your space. Bold, neutral colors will help you define the space and will give the illusion of a spacious space. To make the space less cluttered, place the rug within at least 12-inches from the wall and make sure it smoothly blends with the furniture. If your room has a lot of furniture and other elements, secure the rug to ensure that foot traffic won’t displace it. Don’t forget to secure the ends of the rug under the bed, couches or table legs. Let’s accept it, there are only a few elements that can make the room look inviting, cozy and up the notch and rug is one of them. Simply lay them beside the foot of your bed, throw a solid colored quilt on the room and make the space look vibrant. Further, you can pick lighter weaves for your bed as well as heavy materials for the other corners. Want to have a dreamy oasis feel in your room? Pick a rug of the same color as the rest of your furniture and bedding. Rugs are for everything; they can be on the floor, making the room cozy and warm or at walls and tables! They will anchor your space, so pick it wisely and let your room look aesthetically pleasing!